Twitter is releasing Twitter Lite version for Android in 24 countries. WHY TWITTER LITE AND REASON FOR LAUNCH? Twitter has released the “Lite” version for Android in two dozens countries of Africa, Europe, Asia, Latin America and the Middle East. The version is modified for developing countries. Twitter Lite helps in minimizing the data usage which is useful for the places where data plan is exorbitant. The app will load faster even on a slow connection. Moreover, the size of the app is also reduced to 3MB so that it doesn’t take much space on a phone. Before launching the version to all the countries, Twitter launched the app in the Philippines for trial. It turned out to be a successful experiment as there was an increase of 50% in tweets. To increase the popularity and growth in the number of users internationally, it is an intelligent move. Twitter has 330 million users outside the US and this will definitely increase the number. WHAT ALL COUNTRIES GET THIS SERVICE? The countries where Twitter Lite would be available are Bangladesh, Algeria, Brazil, Bolivia, Colombia, Costa Rica, Chile, Kazakhstan, Ecuador, El Salvador, Israel, Egypt, Malaysia, Mexico, Nepal, Nigeria, Peru, Panama, Thailand, South Africa, Tunisia, Serbia, Venezuela and Tanzania. Now use your voice to give use the video apps like Hulu, CBS, NBC with Amazon Fire Stick TV. Now with Alexa and your voice, Amazon Fire TV users can now get more control over the video apps. The feature enables you to give commands to Alexa such as Watch, Pause, Play, Rewind and more. You can also ask it to take you to an individual show, network, other categories of programmes. Earlier, you could only command Alexa to control the in-house video content. Now you will be able to control other apps like Hulu, Bravo, NBC and more.According to Amazon, Showtime Anytime would also add functionality soon. Amazon earlier hinted that it was going to include the feature and finally it did. In order to use the feature, you need to give a command like Alexa, show me comedies on Showtime or anything that you want to watch. With Alexa voice remote, you can easily steer through content and ask Alexa to play last episode or next episode, replay the episode and more. 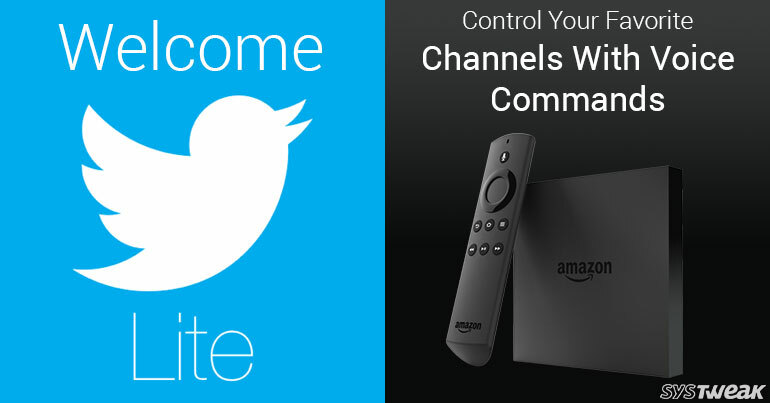 In addition to this, you can change the channel with voice provided it is supported by that platform. Echo users can pair their Fire TVs with their smart speaker to enable Alexa to control the video apps. Next Read: 5 Hidden Amazon Echo Features You Probably Didn’t Know About! Amazon has been working on making the Alexa-supported apps to give support to video providers for a while. They have also announced that they are working on a tool for developers of video apps and other content suppliers which would enable them to add voice control to their apps. Soon, more developers will update their apps to work with this feature.